My thoughts: I had such a fun time reading this book and learning about some of the Fool's Gold's residents! I guess this is book twelve, but it was fine as a stand-alone. I may need to go back and pick up some of the first ones! At one time Ford was engaged to Isabel's sister Maeve. Of course, Isabel was only fourteen years old at the time and thought her sister was crazy when she broke off the engagement. She swore she would love Ford forever and wrote him letters for ten years. Meanwhile, he left town and became a Navy Seal, and never wrote Isabel back. When Isabel got engaged herself, she wrote Ford and told him that she would no longer be sending any letters as she didn't feel it was appropriate any more. As fate would have it, they both end up back in Fool's Gold a few years later - single - and not looking for love. The chemistry between Ford and Isabel was unmistakable, and despite that, they start "fake" dating to try to fool Ford's mom. But the only people they are fooling is each other. There is more than one romance afoot in Fool's Gold though and that keeps the book moving along. It was a quick read with lot's of interesting secondary characters - some of which I am sure were introduced to lead into more Fool's Gold books. 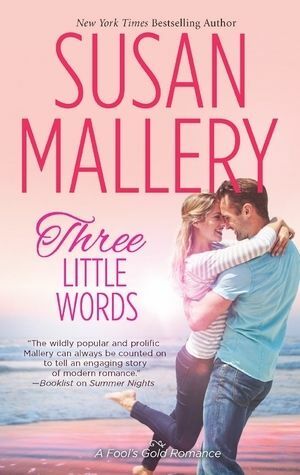 I would definitely pick up another book by Susan Mallery. Follow along with the whole tour at BookTrib! Enter the rafflecopter giveaway below for a chance to win The Susan Mallery Foolproof Bridal Kit. I want to win this!!! I love the Fool's Gold series by Susan Mallery. Fun, romantic and characters I would love to know in person. I loved Three Little Words! This summer's book have been the best yet! Become a Street Team member for S.R. Johannes! Summer Discount at Reading Addiction Blog Tours!